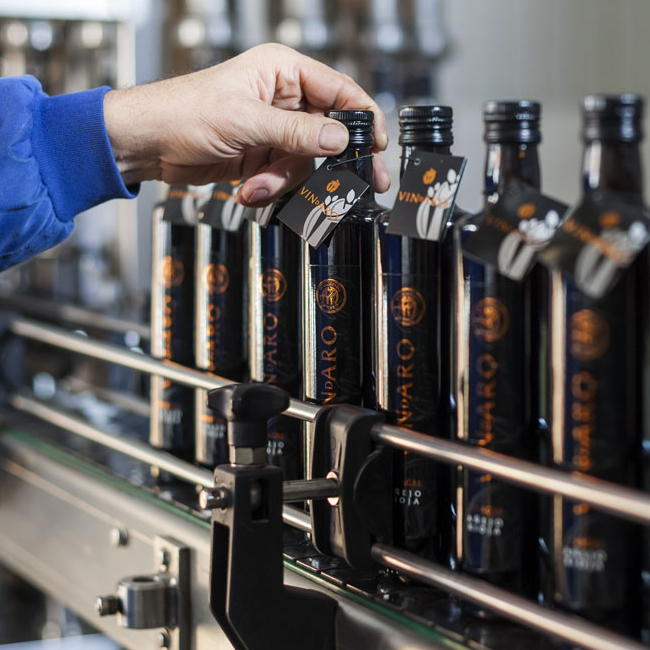 Vinegars from our home – Haro, the wine capital of La Rioja, a land filled with flavours, where taste, aroma and quality meet. We produce vinegar slowly, gently and rigorously, using select shoots from organically-produced vines. We prepare the sheaves on site, cutting them down before placing them in the 35,000 litre tanks, where the fermentation process begins and will last for about 10 days. 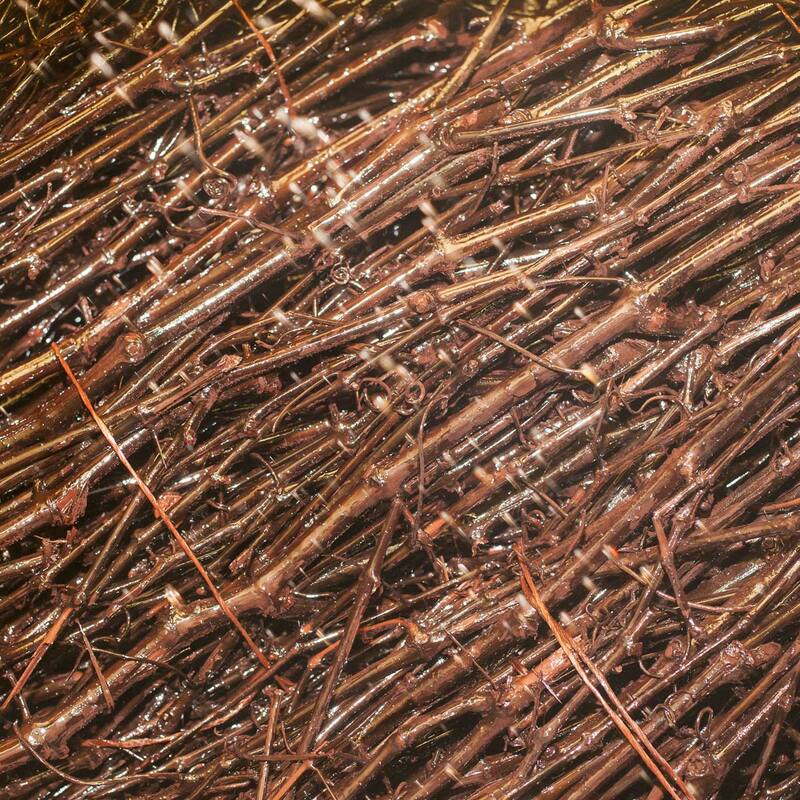 By having the wine roll over the shoots, we enable it to be in contact with the air more. Thus, acidification is achieved in a steady, natural way: a traditional process which converts the wine into acetic acid, resulting in a fine vinegar. 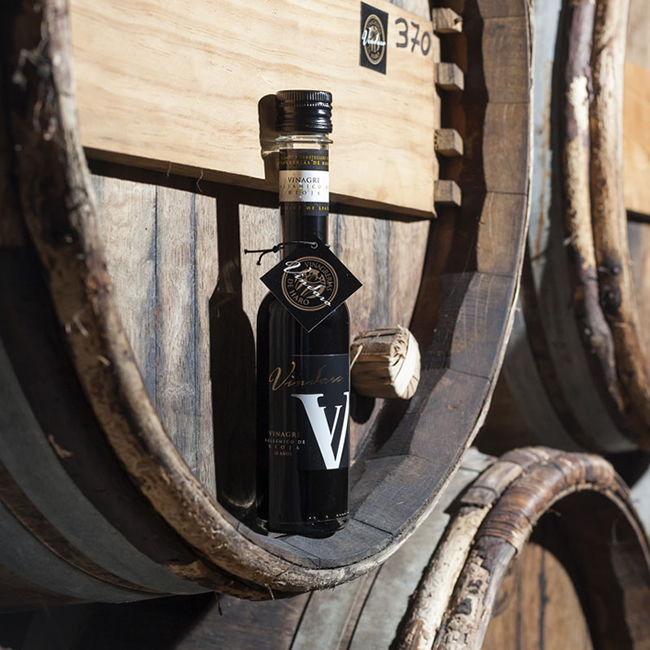 Then, our vinegars are cooled and, if they are going to be aged, converted into balsamic or used for ‘gran reserva’, they begin to stand in French oak barrels. This method is slow and natural; many other vinegar makers opt not to use it as they are other faster, more competitive methods on the market. This is what distinguishes us and grants rigour to our vinegars, both in the ordinary GAR, LG, and VINARO vinegars, and Aged Reserve GAR, VINDARO and VINANOR, and the VINDARO Rioja Balsamic. A taste that can be enjoyed alongside the products chosen to share the plate with them. “Vinegar is one of the products most worthy of attention in the rural and domestic economy, as it is the most necessary and useful acid known. Thus, it is completely necessary for one’s health, conserving meats, pulses and fruits, for the preparation of meals and to perfect the culinary arts”.